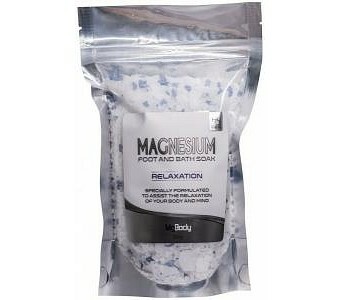 MgBody's 'Relaxation' foot and bath soak has been specially formulated to help you relax and reap the benefits of a magnesium bath. Infused with relaxing lavender essential oil, your body and mind will reach relaxation mode almost as soon as the 'soak' hits the water. Simply add two handfuls to you bath and soak for 10-20 minutes.